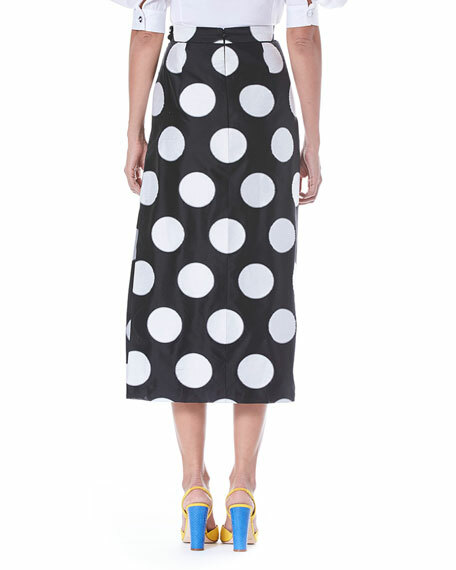 Carolina Herrera skirt in dotted fil coupé. For in-store inquiries, use sku #2483650. 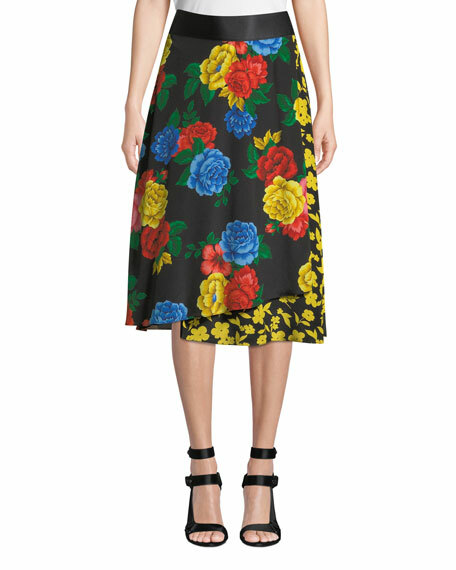 Tube-style skirt by ATM Anthony Thomas Melillo. Approx. measurements: 29"L from waist to hem; 14.5"L slit. Natural rise; pencil style. Side slit. Midi length. Pull-on style. Micromodal rayon/spandex. Hand wash. Made in Peru. Exclusively ours. 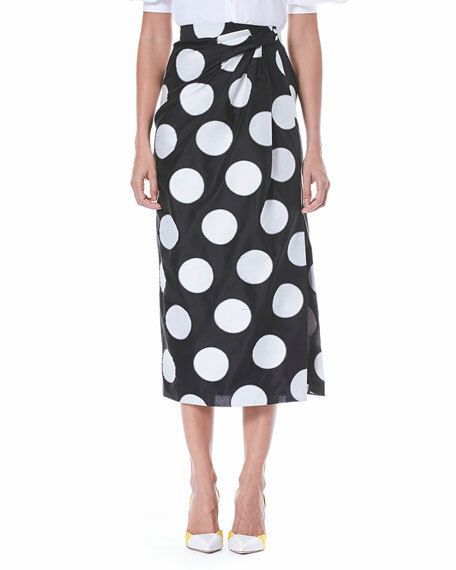 La Petite Robe di Chiara Boni "Rodeia" maxi coverup skirt in jersey. Ring detail at left gathers sides of skirt. 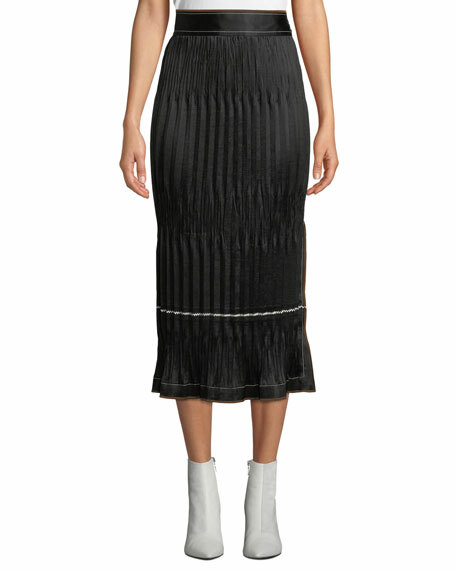 Full-length side slit. Hem falls to floor. Nylon/spandex. Made in Italy.